NewsHome » News » News » SEYM Launches New Youth & Young Adult Coordinator Position! The SEYM Youth Committee is excited to announce that Kody Hersh has begun his service as SEYM’s Youth and Young Adult Coordinator. Kody will be bringing his expertise in religious education and his gift of being a welcoming spirit to our youth program. In 2017, SEYM had received a proposal from Kody to create the position. He had been experiencing a leading to work with SEYM youth and young adults, and was asking to be released (financially and spiritually supported) to pursue this leading. Youth, Finance, and Worship & Ministry committees had seasoned the proposal before its final approval at Yearly Business Meeting 2018. The position is based on the model of Quaker Voluntary Service, in which a volunteer is given a monthly stipend and housing in order to release them for work with a Quaker organization. Kody started his work as the Youth and Young Adult Coordinator (YYAC) at the beginning of January 2019. He had been working professionally as a Quaker youth worker in Philadelphia Yearly Meeting since 2013. He moved back to Florida in January, and is now living in the cottage behind the Orlando meetinghouse, provided by Orlando Friends. Kody was raised in Miami Monthly Meeting, where he is still a member, and grew up participating in SEYM youth programs and other events. 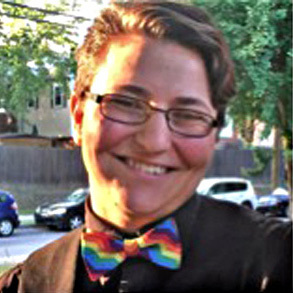 Kody Hersh (he/him/his or they/them/theirs) has served as staff for Philadelphia Yearly Meeting’s Middle School and Young Friends (high school) programs, spent time at two Quaker colleges as a Friend in Residence, and taught First Day School classes for kids of all ages. He has been on staff of the Annual Gathering of Friends, served on the Youth Ministries Committee of Friends General Conference, and traveled among Friends. Outside of the Quaker universe, Kody is a writer, musician, home cook, LGBTQ advocate, and a member of Christian Peacemaker Teams (CPT). They have served with CPT teams in Colombia, Palestine, and with the Indigenous Peoples Solidarity Team here on Turtle Island (North America), and are passionate about the relationship between spirituality and transformative action. They would love to have you over for tea any time you are in Orlando!